Creating an ASME design that simultaneously considers internal pressure, vacuum, MDMT and wind/seismic loadings can be a daunting task. The COMPRESS Vessel Wizard can do this for you with minimal data entry. Based on your inputs, design conditions are automatically satisfied by the Vessel Wizard. 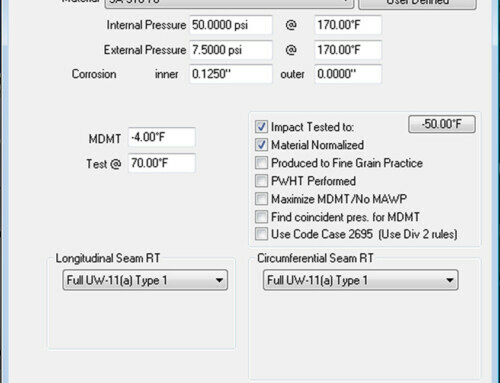 No time-consuming, error-prone manual thickness adjustments are necessary. Selects head, shell, skirt and nozzle thicknesses. Determines the need for and the size of reinforcing pads. Determines if vacuum rings are required and, if needed, places and sizes them. The Vessel Wizard can also save general client specifications in templates for future use. Is this a standard feature? How do I use the Vessel Wizard? Yes, the Vessel Wizard is available to all COMPRESS clients. Create a workable, optimized design in three easy steps. Select File > Vessel Wizard. Input your vessel specifications in the General Options dialog (these inputs can be saved as a template file and used again). 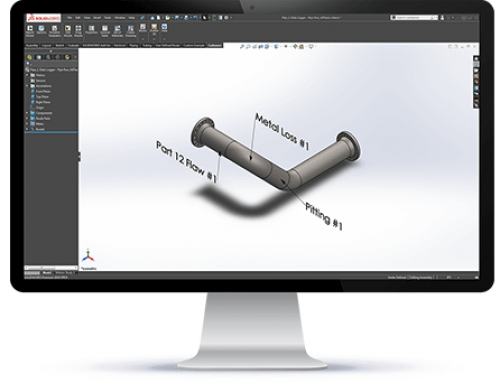 Enter additional information, such as nozzle and support details, and click "Finish" to see your new design. 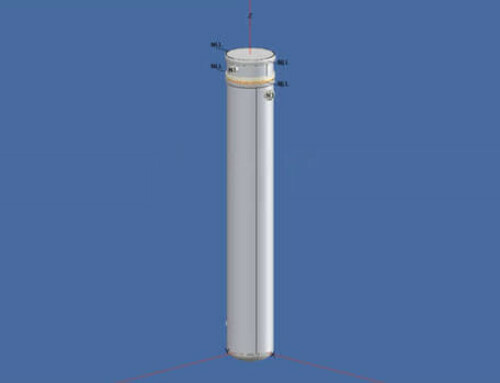 Both ASME Section VIII Division 1 and Division 2* vessels can be designed with the Vessel Wizard. The Vessel Wizard requires only basic information to model typical vessels. The basic inputs of pressure, temperature, diameter (inner or outer) and tan-tan length are sufficient to define the design. The Vessel Wizard can also size the vessel based on required capacity instead of the tan-tan length. In addition, the Vessel Wizard has the ability to fully specify material, radiography, liquid level, insulation and lining as well as nozzles, supports and building codes. Nozzles are quickly entered in batches using a simple list. If you specify supports, the Vessel Wizard also provides support details such as base ring dimensions and anchor bolt sizes. When designing a horizontal vessel, the Vessel Wizard creates a Process Industry Practices (PIP) standard saddle design. If you don’t have software that allows you to quickly and accurately design vessels with a Wizard, it’s time to explore the benefits of COMPRESS. Find out more or schedule a software demonstration by emailing sales@codeware.com or calling (941) 927-2670. * The Division 2 option must be purchased to design Division 2 vessels with the Vessel Wizard.